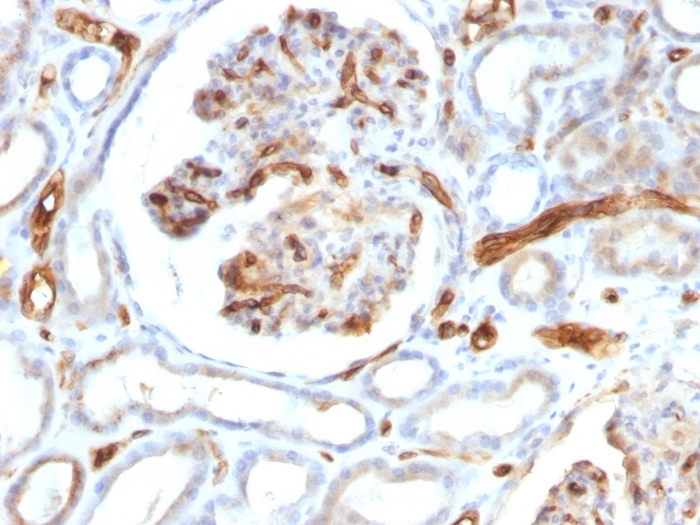 Formalin-fixed, paraffin-embedded human Cerebellum stained with OLIG2 Mouse Monoclonal Antibody (OLIG2/2400). 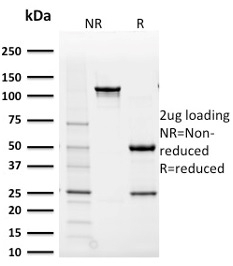 SDS-PAGE Analysis Purified OLIG2 Mouse Monoclonal Antibody (OLIG2/2400). 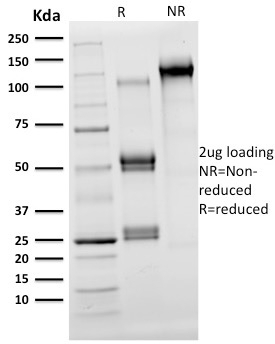 Confirmation of Purity and Integrity of Antibody. Analysis of Protein Array containing >19,000 full-length human proteins using OLIG2 Mouse Monoclonal Antibody (OLIG2/2400). THP-1 cells. Cerebellum or Astrocytoma. Olig2, a basic helix-loop-helix transcription factor, is involved in oligodendroglial specification. 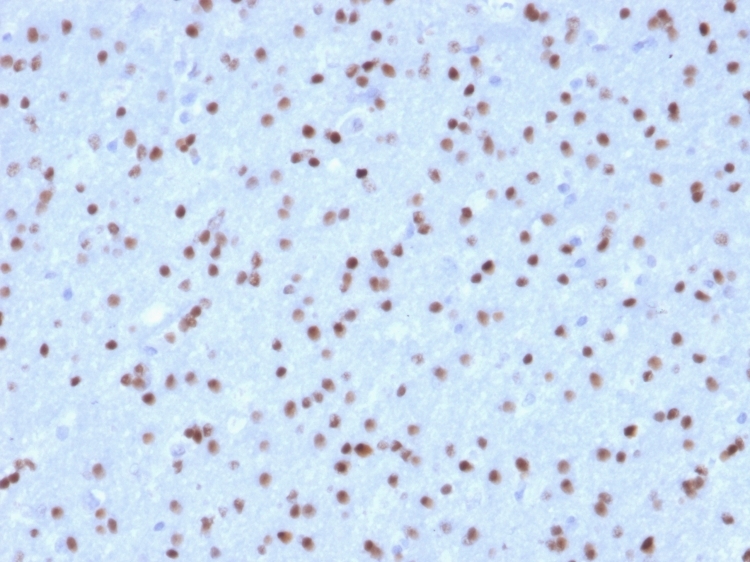 Olig2 expression has been reported in most glial tumors, such as oligodendrogliomas and astrocytomas. 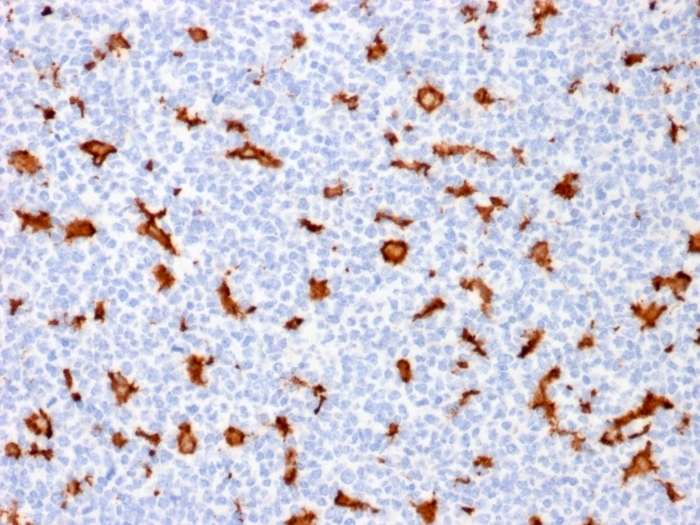 Although more than half of glioblastomas are positive for Olig2, expression is very weak in terms of both percentage of labeled cells and intensity. No Olig2 expression has been found in the non-glial tumors including neuro-epithelial tumors, ependymomas, sub-ependymomas, medulloblastomas, and non-neuroepithelial tumors, such as CNS lymphomas, meningiomas, schwannomas, atypical teratoid / rhabdoid tumor, and haemangioblastomas. 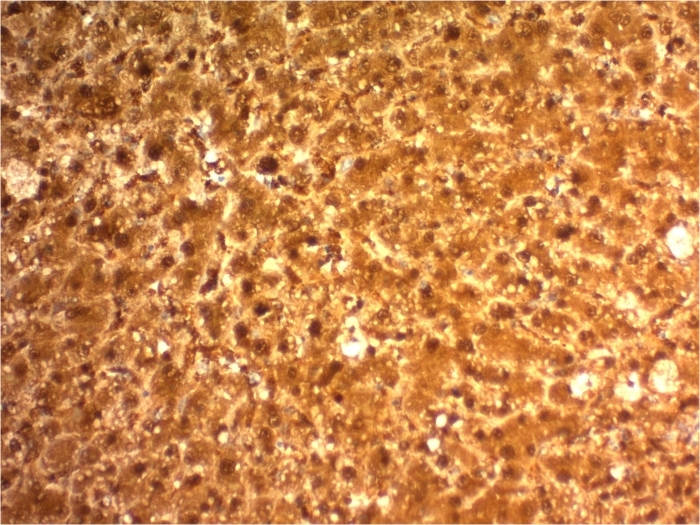 Compared to the strong staining seen in glioma samples, a weak expression is observed in non-tumoral brain tissue (gliosis). Mokhtari K, et al. Olig2 expression, GFAP, p53 and 1p loss analysis contribute to glioma subclassification. Neuropathol Appl Neurobiol. 2005; 31:62-9.